There are many conspiracy theories that are written about shows, and although many are not true, they are interesting to read about, and there are many you can read. One is about a familiar show, Max and Ruby, which is a children’s show on TV. Max and Ruby are two bunnies that live alone with no parents and a grandma who occasionally stops by. It is said that Max is 4 and Ruby is 7. The reason why they live alone is because their parents live in a car crash. You never see their parents, but in one of their family portraits, you can see them. They don’t live with their grandma, because their grandma traumatized Max, which explains the fact that he only speaks about one word per show. One other conspiracy about a children’s show on TV is about Caillou. It is said that Caillou is bald because he has cancer. He gets away with so much and gets to be on his own because of the fact that his parents are sympathetic towards his mortal illness. Since the sister, Rosie, has red hair, it is said that she is adopted, since both parents have brown hair. They were afraid to have another child with cancer, so they resulted to adopting one. The whole show is said to be narrated by Caillou’s grandmother, and this explains why the show is in a cloud or bubbles as a flashback would be. The last conspiracy theory is about the Rugrats. Angelica is a little bit nutty, but this brings up her very nutty imagination. They say that Chuckie died a long time with his mother, which is why Chaz is a nervous wreck all of the time. Tommy was a stillborn, which is why Stu stays in the basement making toys for the baby that would never have a chance to live. Angelica could not figure out whether it would be a boy or a girl, and therefore created “the twins.” This explains why Angelica can speak to both adults and babies. 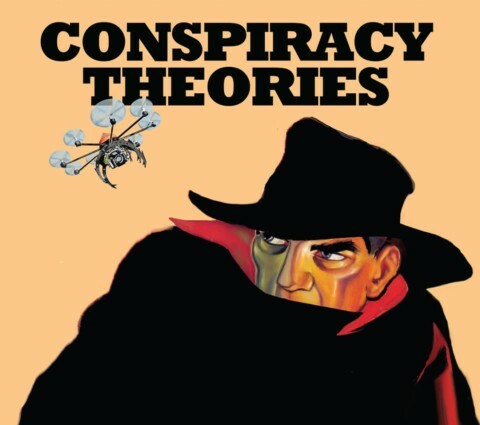 Conspiracy Theories by Isabella is licensed under a Creative Commons Attribution-ShareAlike 4.0 International License. Your post “Conspiracy Theories” is very intriguing. All these theories are interesting and makes a lot of sense. Your writing uses many examples, which is great for this because this is more entertaining to read than just one example. I like how all your examples end with an explanation. “They don’t live with their grandma, because their grandma traumatized Max, which explains the fact that he only speaks about one word per show.” You explained how Max only says one word because on the grandmother, which I think is important to add. Your writing is concise and entertaining, keep up the good work! I am intrigued with your article because, being a person who constantly reads theories, I haven’t actually heard of any of these ones. Reading these kind of messes with my head seing as I used to watch all these shows as a little kid. One thing you said that stands out for me is: “Since the sister, Rosie, has red hair, it is said that she is adopted, since both parents have brown hair. They were afraid to have another child with cancer, so they resulted to adopting one.” I think this is sad because when watching it before I used to think they were one big happy family but as I read the theory for the show, Caillou, I realized how much it actually makes sense. Thanks for your project. I look forward to seeing what you write next, because your writing is very unique and it is really convincing. I am content with your post “Conspiracy Theories,” because these theories are being spread online. Behind each action, the writer of these cartoons have a specific reason and it is elaborated upon in this post. One sentence you wrote that stands out for me is: “They were afraid to have another child with cancer, so they resulted to adopting one. ” I think this is important because it shows family history behind reason for the show to be displayed as it is. Another sentence that I liked was: “It is said that Caillou is bald because he has cancer. He gets away with so much and gets to be on his own because of the fact that his parents are sympathetic towards his mortal illness.” This stood out for me because I used to watch this show and I wondered why he was portrayed as he is. Your post reminds me of something that happened to me. One time my brother was watching cartoons on television. I watched it with him and did some research and found out about some conspiracies. Thanks for your writing. I look forward to seeing what you write next because your writing is clear and interesting.